Providing a welcoming break from the daily stresses of city life, this two-story vacation home offers a chance to relax and reconnect with nature. A sundeck surrounding a third of the house provides a perfect vantage point for overlooking nearby waterfronts or distant mountains. The interior of the house also allows for great views of the surrounding areas with large windows located throughout the house including a set of French doors in the great room and the master bedroom along with a window seat creating a perfect backdrop to enjoy your latest book. On the lower level a workshop offers space for those who enjoy working with their hands or a covered patio for the couple who enjoy a glass of wine while watching the rain fall in their own little slice of county. 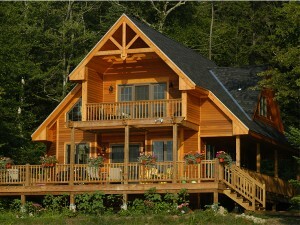 Click here to view floor plans and details about this vacation house plan, # 010H-0016. 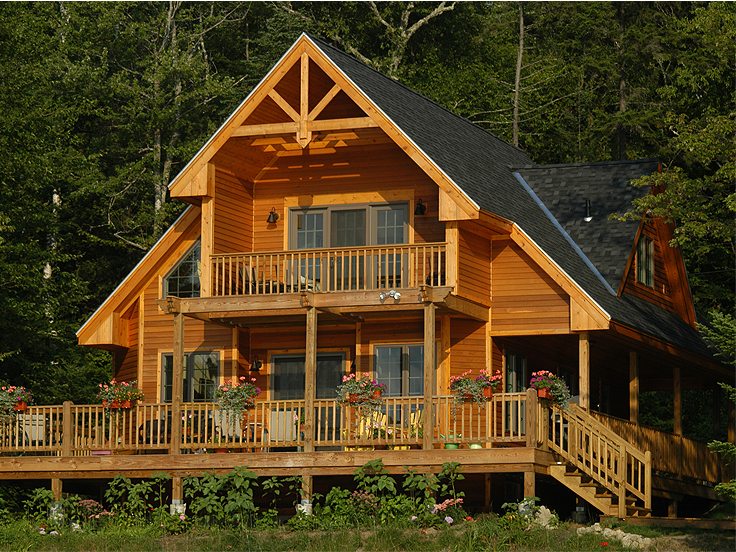 If you’d like to check out more home designs similar to this one, please browse our Vacation House Plan collection.